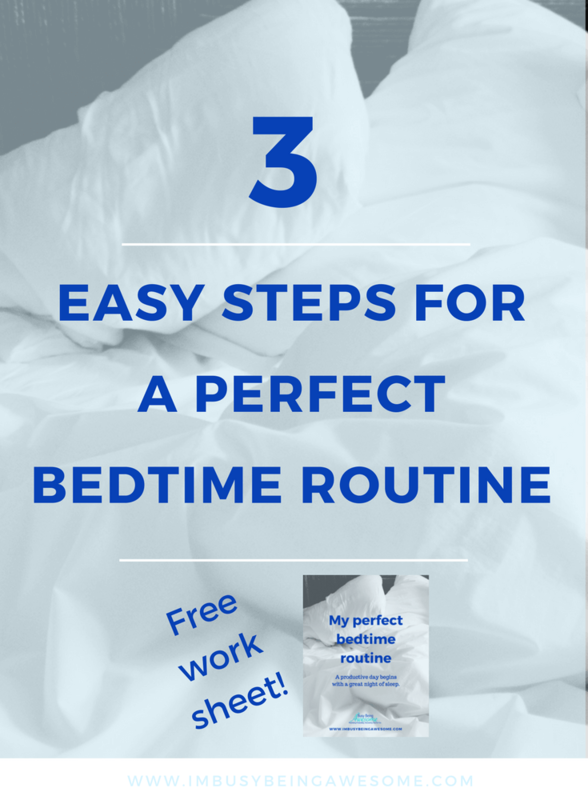 Create your perfect bedtime routine in 3 easy steps – for adults! In last week’s post, I talked about the importance of maintaining a daily routine. I explained that having some consistency throughout your life offers so many benefits, including increased productivity, greater self-confidence, a stronger sense of balance, and perhaps most importantly, recognizing what you value most in your life. An adaptable daily routine to manage the everyday tasks of your home and work life. First of all, THANK YOU for this feedback! Now I can shape the rest of our daily routine challenge around the three things that matter most to YOU. Yep – in the next three weeks you’ll have strategies to develop a solid bedtime routine, a stress-free morning routine, and an efficient daytime routine coming your way. In fact, I’m going to tackle our challenge in exactly that order, beginning with an effective bedtime routine. You: “But wait, Paula… Why would you start our routine challenge with the end of the day?” Good question! I’m starting here for a rather practical reason. If it’s your goal to give each day your all – if you plan to work hard and play hard every single day – you need to start with a good night’s sleep. Period. And here’s a little secret about me – I am in desperate need of a reliable bedtime routine. In fact, I have been following the exact OPPOSITE of the above advice for the last several months…and I’m feeling it. Let me tell you, a daily dose of about five hours of sleep per night wears a person down quickly – not to mention it’s an incredibly unhealthy way to live. Are you with me? Great! Let’s create that perfect bedtime routine. 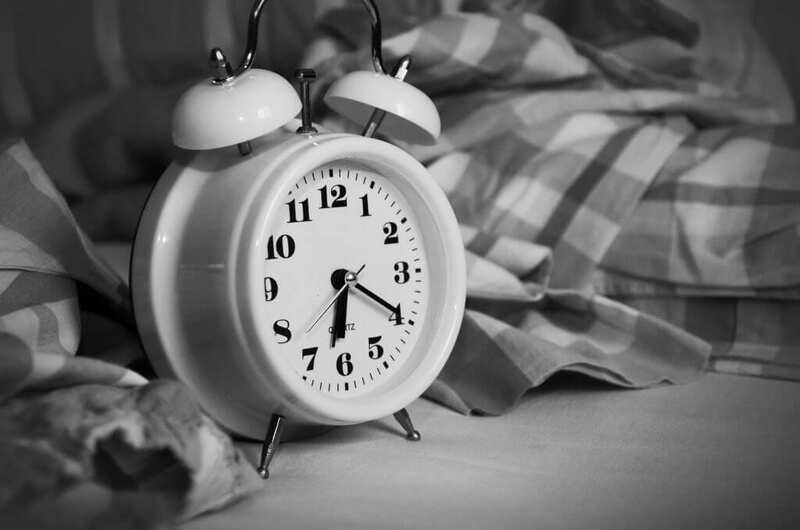 As you begin planning your bedtime routine, there are three main categories to which you will attend: organization for the day ahead, the standard nighttime hygiene stuff – washing face, brushing teeth etc., and time for mental unwinding. If your routine touches on all three of these components, you’re well on your way to a restful night of sleep. Organization is especially important in a bedtime routine. If you’re like me and you have trouble sleeping due to worrying about the next day’s events, then nighttime organization is for you. It is also a critical component for those of us who prefer a stress-free morning to a mad dash out the door. Can you relate to either of these? If so, read on! In order to decide what organizational strategies you need in your bedtime routine, take some time to think about these three questions: what (if anything) keeps you up at night? What creates unnecessary stress for you first thing in the morning? What seems to slow you down and/or make you late getting out the door? I personally struggle with tossing and turning each night for a couple of different reasons. First, I find myself thinking about everything I need to do the next day. I then convince myself that I will forget to do all of it and proceed to worry most of the night – ridiculous, I know, but it’s true. Does this ever happen to you? In order to combat this cycle of worry, I spend 5 minutes each night after dinner planning out the day ahead. I use my bullet journal (any notebook/planner/scrap of paper will do!) and I create a to-do list for the next day. I write down all of my meetings, work related assignments, personal appointments, dinner plans etc. By getting everything down on paper, I preemptively silence my worries before I even crawl into bed that night. Take that unnecessary worry! Interested in bullet journaling? Learn more here! I experience this stress most often when I leave my office or the kitchen a mess. There are days when it looks like a bomb went off in my office with books, papers, pens, and articles strewn everywhere. Walking into that first thing in the morning is completely overwhelming, and is something I have no interest in dealing with before my morning coffee. The same goes for a sink full of dirty dishes. Yuck. In order to ensure a smooth transition out the door, I try to prep for the coming day as much as possible. I lay out my clothes and pack my gym bag, which I leave by the front door. I pack my lunch, fill my water bottle for the gym, and set the coffee pot so I wake up to fresh coffee (utterly necessary with a 4:20 wake up call!) Each of these steps are really quite simple, but they add up to valuable time in the morning when every minute counts. This part of your routine basically means face washing, teeth brushing etc. I doubt I need to go into much detail here, as we all have our own favorite face washes, lotions, kinds of toothpaste etc. I do have two thoughts on this step that I want to share with you, however. The first is an actual habit that I’m trying to adopt, which is taking a warm shower before crawling into bed. My mom suggested this trick to me about a month ago, and though I don’t always get it in, I’ve found it has really helped me relax before hitting the hay. In fact, studies have shown that taking a warm shower raises your core temperature, which signals to your body that it’s time for bed. So…it’s science. Showers help you sleep. The second point I want to make about part two of your routine is simply this: allow enough time for it. This second part is really a transition period for your mind and body, as you signal to yourself that it is time for bed. 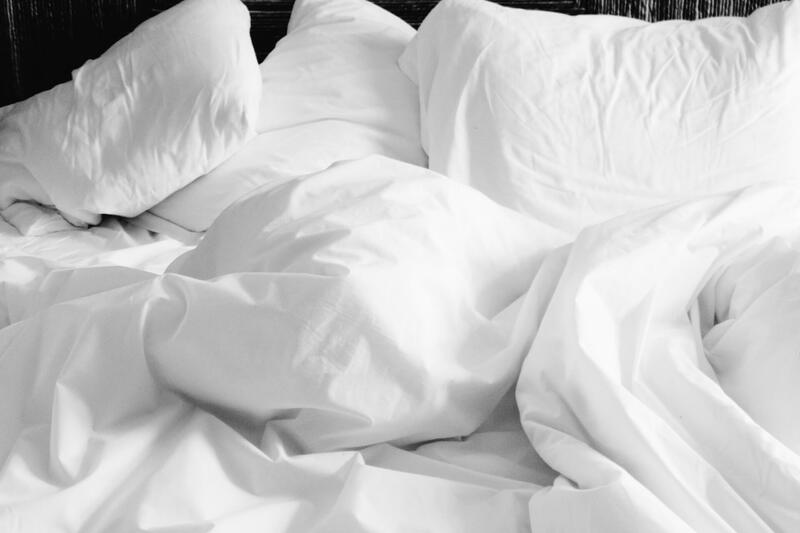 By allowing enough time for these regular rituals, and not rushing through them haphazardly, you’re making that transition to sleep that much easier. Part three of your bedtime routine focuses on winding down your mind. There are many ways that you can approach this portion of the routine, and I encourage you to try out several different tactics to see what works best for you. Whatever you end up doing, however, please follow this rule important rule. For at least 30 minutes before bed, silence your phone, close down our computer, and turn off the television. Seriously. I’m sure you’ve heard about the negative effects that electronic “blue light” has on your sleep schedule. So today, I will simply remind you to shut down. (If you haven’t heard about the impact of blue light, check out this article) Avoid technology for at least 30 minutes before bed, and fall asleep much easier. *Read for 15-20 minutes (or longer if you have time!). Reading takes you to another place and lets you focus on something other than your busy day. It’s really a great way to quiet the mind. Bonus points if you can read in softer lighting. I have this incredible lamp that also works as my alarm clock (it gradually glows like a sunrise in the morning – so much better than waking up to a blaring alarm!) What I love about the light is that it emits a low, soft glow. Because it’s not a jarring blue/white light, I’m allowing my eyes to relax as my mind slowly unwinds as well. *Stretch. Admittedly, I don’t do this every night. If I’m particularly tight from a tough day at the gym, however, I love taking a few minutes to stretch. It’s a great way to relax. *Meditate. First of all, meditation does not have to be a long involved event. In fact, five minutes of deep breathing while quieting your mind can go a long way! If you find your head is filled with a jumble of thoughts before bed, give meditation a try. *Aromatherapy. Aromatherapy has really grown in popularity over the last few years. My sister got me hooked on essential oils a few years ago, and I’m especially fond of lavender and chamomile for bedtime. If you’ve never used aromatherapy before, I definitely recommend looking into it! My last – and perhaps most important – piece of advice regarding establishing a nighttime routine is this: leave enough time to fit it all in. My biggest challenge in adhering to a nighttime routine is actually shutting down for the day. I find it very difficult to “call it quits” and leave enough time for my hot shower and 20 minutes of reading. The night gets away from me too quickly! Does this ever happen to you? To combat this challenge, I’ve started setting an alarm that reminds me to get ready for bed. I’ve found it rather helpful. That being said, I’d love to hear if you have any other effective strategies; I sometimes keep snoozing that alarm and end up staying awake too late <eye roll here>. 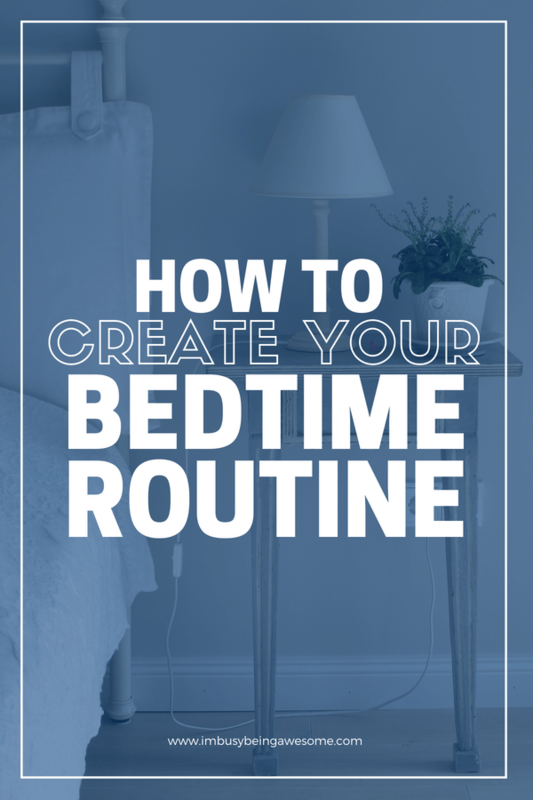 As I mentioned in last week’s post, using a bedtime routine doesn’t mean that you must do the exact same thing at the exact same time, every. single. day. Nevertheless, I do believe that maintaining consistency around your bedtime is key. It helps you prepare for the day ahead, take time to unwind, and pushes you to get that much-needed sleep. 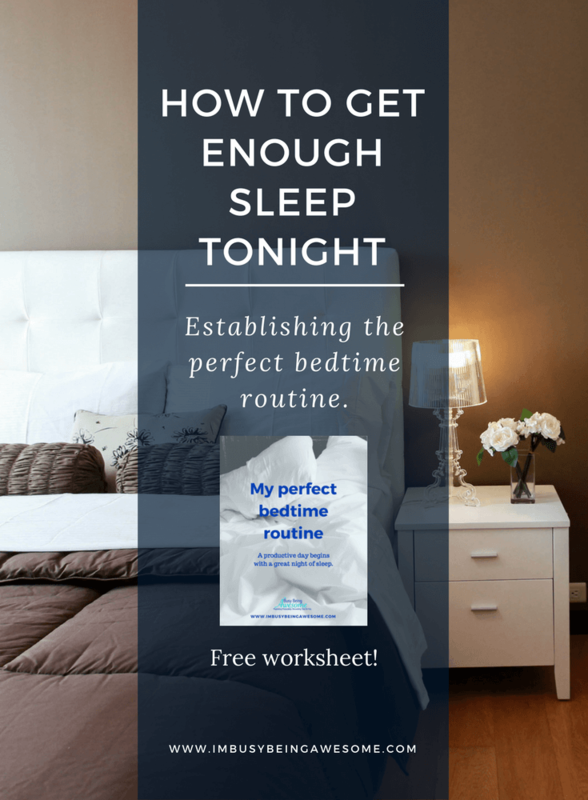 So for this week’s routine challenge, use the free worksheet below and organize a bedtime routine that works for YOU. Decide what you need to organize the day ahead of you, and how you want to unwind before bed. Then, working backward, decide when you need to begin this routine so you get that healthy 7-8 hours a night. Easy enough, right? Get your FREE worksheet here! So tell me, what’s included on your bedtime routine? How do you get yourself to bed at a decent hour? Share your tips below – I’d love to hear them! My bedtime routine needs a serious overhaul. Thank you for this! I am going to implement some of these strategies for me AND my kids today. Sleep is so important and I never get enough of it! I can tell a drastic difference in my emotions, work performance, and social interactions when I don’t get a good night’s sleep. It takes me a while to wind down after work before I can think about sleeping. I will definitely try these things to help myself get to sleep sooner! My bedtime routine and sleeping habits are a complete disaster. I definitely need to pick up some of these tips! I hope they help, Francesca! Yes!!! Getting enough sleep is so important for productivity and doing your best throughout the day. 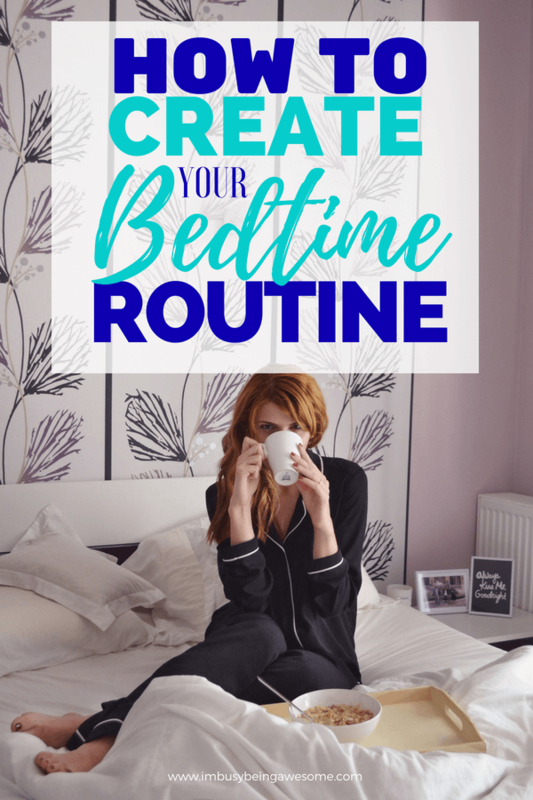 Lovelovelove these practical ideas for creating a bedtime routine. Making a list for the next day can be so helpful in taking things off your mind. Thanks, Erica! Yes, making a list is a must-do for me the night before. Love your suggestion about unwinding 30 minutes before going to bed, because I have the hardest time trying to fall asleep at night! So I certainly need to calm my mind before trying to go to sleep. Yeah – it has really helped me quiet my mind a lot 🙂 I hope it helps you, too! When I clicked on the link, I thought this was a mom post regarding kids bedtime, which I have always read alot about. But it is true that grown ups need this too! I like the idea of working backwards. I need to put that damn phone down before bed! I like the idea of getting your to do list for the next day ready. thats a great idea! Ha – exactly! We need the bedtime routine, too 🙂 And I am the same way – there is something wrong with the fact that the last thing we see before bed and the first thing we see in the morning is our phone . It has been very helpful for me to step away from the phone before bed …Now I Just need to work on first thing in the morning. Ha. Great tips!! It’s so important to have a relaxing routine! Getting enough sleep is such a challenge these days. I really like to try to meditate before bed to wind down. That’s fantastic! Have you been meditating for long? I need to do better at organizing and planning in the evenings. I tend to get lazy once I snuggle on the couch with my son to read a book. I’m going to try to incorporate some of your suggestions into my routine! Thanks! Great list! I struggle with it all the time. I really need to start setting the alarm an hour earlier to get me in the routine but with kids and their unpredictability, it’s usually all over the place. My husband and I were just talking about how important it is to have a good bedtime/wake up schedule (and how we need to be doing better at it). These are good tips, and my favorite thing to do right before bed is read. I’ve also found it makes a difference if I read a physical book or and ebook. Real books are more relaxing, I think because no screen and you don’t get distracted with notifications. Having a routine especially at night would hopefully help me sleep better. Great tips!! Having a night time routine has helped me in so many ways. I even set an alarm on my phone that tells me it’s time to go to bed. And I set it 30 minutes before i want to get in the bed so I have time to get ready without feeeling rushed. This is something I definitely need to work on. Not only for me, but my toddler as well. I’ve always had that same problem with tossing and turning because I start thinking about everything I have to do the next day. I love the idea of just spending a few minutes to plan! Yes! It’s so frustrating, isn’t it? I’ve found planning things out for just a few minutes has really helped quiet my mind. I hope it helps you, too! I always mean to put out my clothes for tomorrow and then I forget! Great list, btw! Ha! I’ve been there before 🙂 Once you get into the habit it’s a bit easier. And thanks! I have the worst trouble sleeping because I cannot part from work, school, and social media. I struggle with it so much! I need to start reading for fun before bed. What’s your favorite book? Yes! 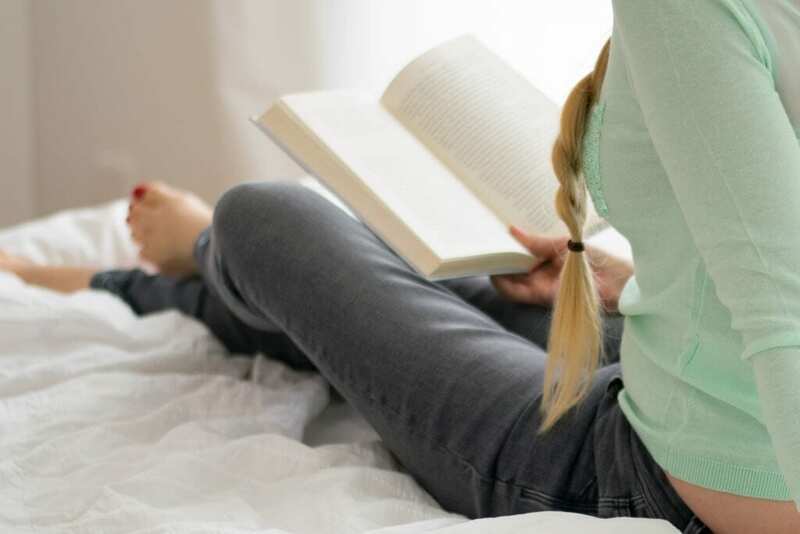 You should definitely start reading before bed; it’s such a great way to wind down. I read a little bit of everything – I’ve been really into the work by Brene Brown and Elizabeth Gilbert recently. I just finished Carry On Warrior by Glennon Doyle Melton, which was fantastic. I’m in the middle of Leave Me by Gayle Forman. Do you have a certain genre that you like? I do the same thing! I’ve been setting an alarm for 9pm, because it can take almost an hour to organize and unwind. It has been an effective strategy for me. My bedtime routine is a hot mess! I always want to cram everything into one day (which rarely works out) so I go to bed stressed and wake up stressed. I also find that straightening up before bedtime helps to reduce stress in the morning. YES – that’s what I battle with, too – Going to bed thinking about how much I didn’t get done, and waking up thinking about everything I need to do. Creating this routine has really helped me calm those racing thoughts – I hope they help you, too! Yes, yes yes! LOVE this post. I too struggle SO much with tossing and turning just because my mind won’t stop. Seriously loving this post and these tips, definitely saving this!